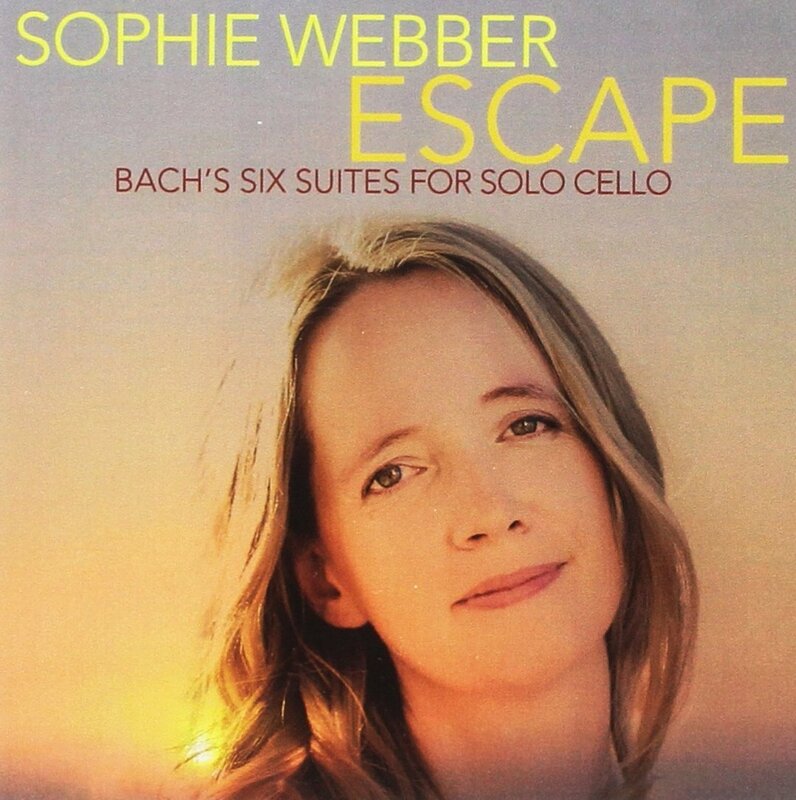 Bach's six suites for solo cello are an icon for all cellists and this new disc from the UK-born, USA-based cellist Sophie Webber on Gimpy Records is inevitably one of many such recordings. But the fascination of the suites is that they bring out different features in different cellists. Many players nowadays record either on Baroque cellos or use period style techniques on modern instruments, but Bach's music is strong enough and wide enough to take a whole variety of performing styles. In fact the instruments for which Bach wrote his suites were significantly different to modern cellos, and he probably wrote sixth suite for a five-stringed instrument. The modern revival of the pieces owes a ot to the great Spanish cellist, Pablo Casals whose playing of them, intense, vibrant, personal, owes nothing to period practice, instead he re-creates Bach for a modern technique and gives us a creative dialogue. Sophie Webber takes the Casals route and does not shy away from a big, vibrant sound. There is a wonderful amplitude to her performance, no self indulgence but a real feeling for strong tone colours. She is clearly aware of the movements' dance origins and there is a lovely bounce to some of the movements. It goes without saying that Webber brings a fine technique to the performance, playing with a lovely richness and evenness of tone, an expressive shape to the phrases and a fine evenness to the articulation. She has called the disc escape, but there is nothing new-age of meditative about it, this is vibrant passionate Bach. The disc was recorded in St Paul's Episcopal Cathedral, San Diego, and the resonant acoustic adds a nice bloom to the recording. Bach's music can be performed in a myriad ways, and each time will come up meaning something new. Sophie Webber gives us a vibrant, modern take, unashamed in its embrace of the modern cello and its techniques, and passionate too. Sophie Webber has been performing a series of concerts based around the release of the CD, the next is in Chicago in August and she will be performing the Bach suites in London at the Royal Naval College Chapel, Greenwich on 23 November 2018. Further details from Sophie Webber's website.